Frontier's portfolio is comprised of middle market companies from cities like Atlanta, Salt Lake City, Dallas, Chicago, Denver, Phoenix, and Charlotte. These areas, while nowhere near the hype of a "New York City" or an "LA," have booming tech communities and higher growth rates than bigger cities due to their thriving middle markets. As it is, the term “middle market” can refer to a variety of firms. The National Center for the Middle Market defines middle market firms as those that generate anywhere from $10 million to $1 billion in revenue annually. That’s a big range. Investopedia notes that barely anyone agrees on the range of revenue, but also says that the upper limit is typically around $500 million in revenue - clearly, very different from the NCMM. Despite these discrepancies, the idea behind the numbers is the same: middle market firms are bigger than start-ups and smaller than big businesses. Yet another relatively vague definition. To nail down what the middle market truly is, we look back at Maclean and Linder. Compared to the attention that novel start-ups and big businesses get from the media, middle market firms seem to fly under the radar - they aren't new and exciting, and they don't have the media presence or following that big businesses do. That’s what Maclean and Lindner call “low-hype.” And, just like Maclean and Lindner say, middle market firms are often considered “high-growth” because they are past the start-up phase and actively scaling to become big businesses. In recent years, middle market growth rates have skyrocketed, consistently outperforming the S&P 500. For example, in Q1 of 2017, middle market revenue grew 9.2% whereas the S&P 500 revenue only grew 5.8%. Check out this infographic from the National Center for the Middle Market to learn some fascinating middle market stats. This growth is the reason investment firms like Frontier Capital have been targeting middle market firms. Huge firms like The Carlyle Group and TPG Capital have moved resources to invest in the middle market after recognizing the opportunities and potential of such high-growth firms. The way for smaller funds like Frontier Capital to continue investing in the middle market is to fill a niche, like SaaS B2B companies, and to stress their experience with the middle market specifically, being entrepreneurs themselves. So, if the middle market is a great place to invest, where can we find the best, fastest-growing, most-successful middle market firms to invest in? According to Investopedia, middle market firms not only have the highest growth rates, but they also tend to decrease the unemployment rate of an area. A thriving middle market, in other words, contributes to a thriving metro. Taking this information into account, we can assume that the fastest-growing metros with decreasing unemployment rates will indicate the most successful middle markets. In February of this year, Forbes predicted 2017’s top 25 fastest growing metros based on "a holistic picture of places on the upswing." They considered data on population, GMP, wage, home value, and job growth to determine which of the 100 largest metros in the U.S.A. would make the list. All considered, 9 out of the top 25 were from Florida, a majority by a long run for any single state. The rest of the spots were filled mostly by metros from the Southeast and the West Coast. What does this list mean to us? This list is predicting the most productive cities of 2017 considering GMP and job growth, the unemployment rate, and more. So, while successful middle markets most certainly cannot be the cause of every good thing going on in each metro, a growing metro is certainly a good sign of a growing and successful middle market. For comparison, Brookings did similar research and also ranked the 100 largest metros against each other. Unlike Forbes, Brookings does not estimate the future success of a metro, but analyzes the past success of a metro. The data that we used for this article came from 2010-2015. Brookings separated the success of a metro into three categories: “Growth,” “Prosperity,” and “Inclusion.” "Growth" rankings came from data on job growth, GMP growth, and job growth at young firms (start-ups and middle market firms). "Prosperity" rankings came from data on worker productivity, standards of living, and the average annual wage. Finally, "Inclusion" rankings considered the unemployment rate, the median wage, and the relative poverty of each of the metros. Thriving middle markets tend to most notably 1) increase the average GMP and 2) decrease the unemployment rate of a metro. So, while the “Prosperity” rankings provide insight into an individual’s prosperity in a metro, the “Growth” and “Inclusion” categories directly address our indicators for thriving middle markets. Brookings concluded that Florida, California, and the Carolinas were the states with the fastest growing job markets from 2010-2015. Brookings also concluded that the research and technology industry has significantly grown in recent years and have positively affected tech hubs like San Jose, Austin, Houston, Seattle, and Nashville. Is it surprising that New York City, Los Angeles, or Chicago didn’t make any of these lists? Not really. The fact is, the majority of the companies headquartered in massive metros in the U.S. are big businesses that can afford the high capital costs of these areas. The high-potential middle market firms that we’re looking for don’t have cash to spare on renting a high-cost office in a big metro where there’s tons of competition. These firms are putting all of their resources toward growing the business in a metro that is conducive and responsive to their product or service. Now, getting down to the analysis. The data Brookings considers is data collected over time. That means that the Brookings ranking is a composite ranking whereas the Forbes ranking represents only the predicted progress of one year based on the previous year’s numbers. It is important to keep both of these values in mind when deciding where to invest because a) you want to invest in an area that has a history of positive growth (therefore an infrastructure to support growth) and b) you want to invest in an area that has a future of positive growth ($$). When factoring our top 10 high-growth, low-hype areas we considered the data from the Forbes’ top 25 growing metros and the Brookings’ “Growth” and “Inclusion” top 25 rankings to draw our conclusion. We know that these middle markets are the best-performing ones because in analyzing the Forbes’ top 25 along with the Brookings’ top 25’s we found the metros that not only thrived in the past (solid infrastructure) but will also thrive in the future (high potential). Private Equity Group: based in Fort Myers, FL. Directs equity investments in land, operating businesses, land development, commercial property and residential master planned communities. Prairie Capital: based in Chicago, IL. Facilitates ownership transitions for companies in the lower middle market. Main Street Capital: based in Houston, TX. Provides debt financing solutions to middle market companies for acquisitions, recapitalizations and refinancings across a variety of sectors. Five Elms Capital: based in Kansas City, KS. Invests $3-30 million in bootstrapped B2B companies with $2-20 million in revenue. Seidler Equity Partners: Founded in 1992, Seidler Equity Partners is a Marina Del Rey, California based private equity firm. Seidler Equity Partners invests in growth, mature companies with a preference for companies located in the midwest US, northeast US, southeast US, west. Redwood Capital Investments: Based in Hanover, Maryland, Redwood Capital Investments is the private investment company for the founders of Allegis Group, the largest privately-held staffing company in the United States. Focused on creating value through compounded earnings growth over long time horizons. Spire Capital Partners: Based in NY, NY, Spire Capital Partners invests in mature companies with a preference for companies located in the midwest US, northeast US, southeast US, west. TA Associates: offices in North America, Europe, and Asia. Invests in middle market firms within five core sectors: business services, consumer, financial services, healthcare and technology industries. Parthenon Capital Partners: offices in Boston, MA and San Francisco, CA. Invests in middle market firms in three core sectors: financial services, healthcare services and business services. Lovell Minnick Partners: offices in Philadelphia, PA, Los Angeles, CA, and New York, NY. Specializes in financial and business services sectors for middle-market companies. Ballast Point Ventures: Based in Tampa, FL, BPV is a growth equity investor providing expansion capital to established but rapidly-growing private companies located in Florida, the Southeast and Texas. Sorenson Capital: based in Lehi, UT. Sorenson offers flexible growth financing for minority or majority positions. Comprised of seasoned entrepreneurs, industry executives, and investment veterans, Sorenson Capital is prepared to meet the complex growth needs of your business. CIT Group: offices in Livingston, NJ and NY, NY, CIT helps to originate and underwrite middle market transactions throughout the US. Gauge Capital: based in Southlake, TX. Invests in middle market firms in the business services, healthcare services, consumer, and food companies sectors in the United States and Canada. Levine Leichtman Capital Partners: offices in North America and Europe. Makes structured equity investments in middle market companies from sectors like consumer/branded products, franchises, business services, healthcare, education, and engineered products/light manufacturing. Atlantic Merchant Capital Investors: based in Tampa, FL. Invests in U.S. businesses in industries such as banking, financial services, and related businesses. Barings: Based in the US, Barings is a $280 Billion global financial services firm whom, among other services, has been lending to private middle-market companies for 25 years. Menlo Ventures: offices in Menlo Park, CA and San Francisco, CA. Invests in the technology sector (including cybersecurity, SaaS, cloud infrastructure, AI, marketplaces, ecommerce, fintech, and mobile). Graycliff Partners: Based in NY, NY, Graycliff Partners is an independent investment firm focusing on middle market private equity, mezzanine and real estate investments in the United States and Latin America. Trivest: Headquartered in Coral Gables, Florida and founded in 1981, Trivest is the oldest private investment firm in the Southeastern U.S. For over three decades, Trivest has invested exclusively in lower middle market businesses, completing over 225 transactions that total more than $5.5 billion in value. Patriot Capital: with offices in Baltimore, Chicago, Dallas, and Atlanta, Patriot Capital provides the full range of debt and equity capital in acquisitions, management buyouts and recapitalizations that range between $15 and $100 million in enterprise value. Baltisse: Based in Belgium, Baltisse looks to invest in companies with an established market position in our target markets, including industry, food & beverage, health care, energy and services. Petra Capital Partners: based in Nashville, TN. Invests in middle market firms in the business services, healthcare, and technology enabled services sectors. Flexpoint Ford: With offices in Chicago and New York, Flexpoint Ford is a private equity investment firm with $2.2 billion in assets under management specializing in privately negotiated investments in the financial services and healthcare industries. Cressey & Company: based in Chicago, IL. Invests in healthcare services, providers, facilities and information technology sectors. Teakwood Capital: A Dallas, Texas firm making equity investments in profitable companies and strong management teams seeking growth. Cypress Growth Capital: With offices in Dallas and Denver, Cypress Growth Capital is the largest and most experienced royalty-based growth capital investor in the United States. Stripes Group: Located in NY, NY, Stripes Group is a leading growth equity firm that makes $10-100 million investments in Internet, Software, Healthcare IT and Branded Consumer Products businesses. Turnbridge Capital: Based in Dallas, TX, Turnbridge Capital Partners is a private equity firm targeting investments in middle-market service providers and equipment manufacturers that sell into the energy and infrastructure industries. 5 out of the top 10 best-performing middle markets are in Florida, with Cape Coral-Fort Myers taking the top spot. Despite its position at the top, there are less funds focused here than in other areas on the list like Salt Lake City and Denver. Compared to Florida cities that are more well-known like Miami and Orlando, Cape Coral-Fort Myers seems to have less competition and more opportunity, we expect to see more action there in the next few years. 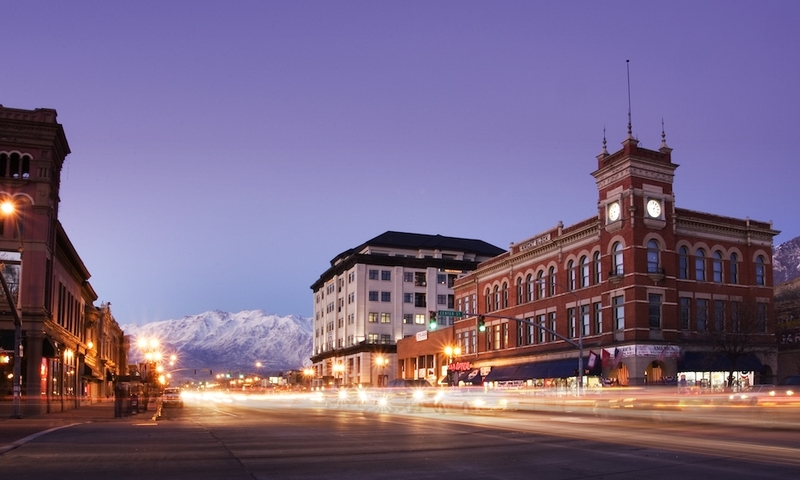 In other interesting results, 2 out of our 10 top best-performing middle markets come from Utah - another state that does not usually make the headlines. Many of the metros on our list appear to be great places for tech investments in addition to the other sectors we have listed, furthering the trend that all companies, including those in high-growth, low-hype markets, must incorporate a technical aspect. Schedule a meeting to learn more about how Malartu can save you months per year on portfolio tracking. Thanks for reading! Got any questions? Comments? Want to know exactly how we got our rankings? Email Audrey at audrey@malartu.co for more info.